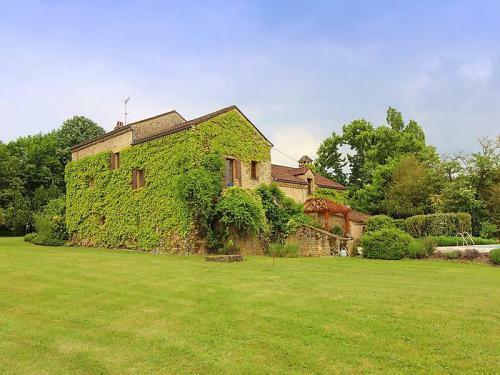 This typical Perigordine stone house is situated in the Golden Triangle of the Dordogne, ideally situated for discovering the area. The house consists of two wings offering two different sleeping areas, ideal for privacy when two families/groups are travelling together. The house is south facing and all rooms have windows offering great views over the pool and garden - which are open to the sun most of the day - and countryside beyond. * A spacious entrance with traditional furniture and a beautiful wooden staircase leading up to the first floor. * A fabulous huge living room with a lovely log-burner and exposed beams. The room offerscosy sitting areas with comfortable sofas and coffee tables, and a flat screen TV. Solid traditional wooden furniture gives the room a quality feel. French doors open onto the front garden. * The country kitchen is also very spacious and very well equipped. There are a dining table and chairs to seat up to 10 guests and armchairs to relax in another log burner. French doors open onto the garden. * The adjacent utility room offers a large fridge, washing machine, iron and ironing board and plenty of space for storage. There is a tumbe dryer in the separate garage building. 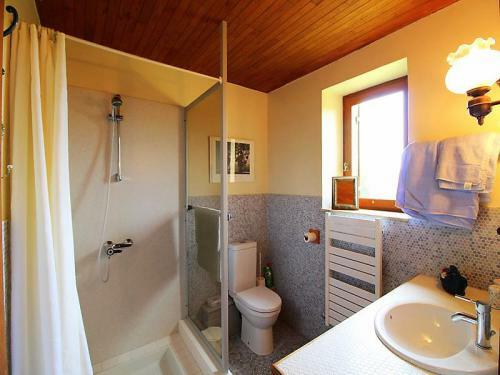 * They share a shower room with shower, washbasin and toilet. The two other bedrooms are in the other wing of the house, accessible from the entrance by the beautiful oak staircase. * A double bedroom with a double bed, bedside tables and lamps, and a chest of drawers. * A huge family bedroom, with a double and a single bed. 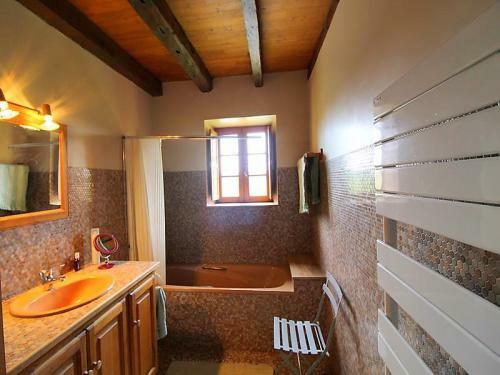 * A bathroom with a bath with shower over, wash basin and toilet. 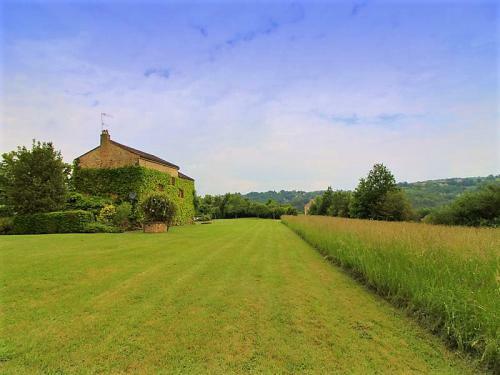 * The house is set in extensive grounds, and has great south facing views over the rolling countryside. * A large terrace is situated outside, with table and chairs for al fresco dining. * For entertainment, there is a large garage building with tennis table and football table. * Private parking for up to 5 cars. Carves is a pretty village, typical of the Black Perigord. 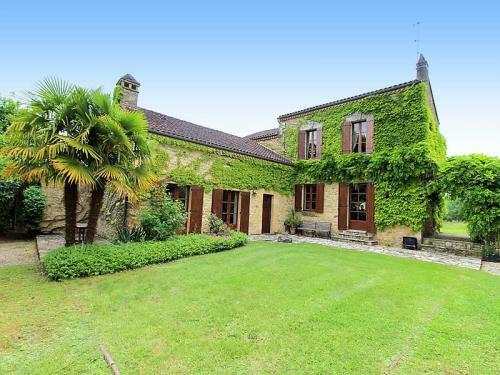 It is in the heart of the Dordogne with all the tourist attractions within easy reach. The villages of Beynac, La Roque Gageac and Domme, along with the superb town of Sarlat are all within a 20km radius. Le Cauze is also ideally situated to reach the Vezere valley, and its prehistoric sites, and also the bastide villages of Belves, Monpazier and Villefranche du Perigird to the south. 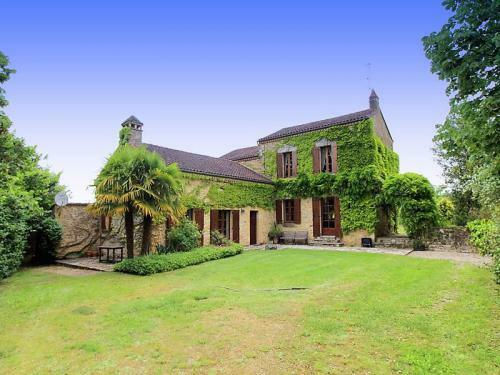 For golfers, two golf courses, Golf de l'Olivarie (18 hole) and Golf de la Forge (9 hole) are both situated at Siorac en Périgord just 5 kms from the house. Changeover day is FRIDAY from Mid June to Mid Sept.
* the touristic taxe (0,50€/night/guest), transfered in full to the village. Heating is charged on meter readings in case of use. tea towels and bath mats are always provided.